*Selective removal of the pre-set 63mm lens profile. * To remove the profile, press and hold the silver button on the adapter to switch on the camera. Removing the profile will disable the distortion & vignetting correction function and may result in a more/less satisfactory image on different lenses. Please test before use. 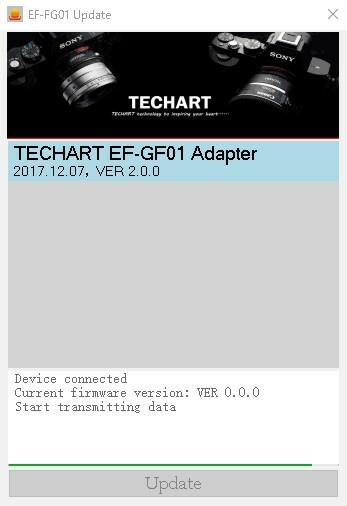 The firmware v2.0 requires initialization at first connection. The camera has to save the parameters of your lens in the first connection. 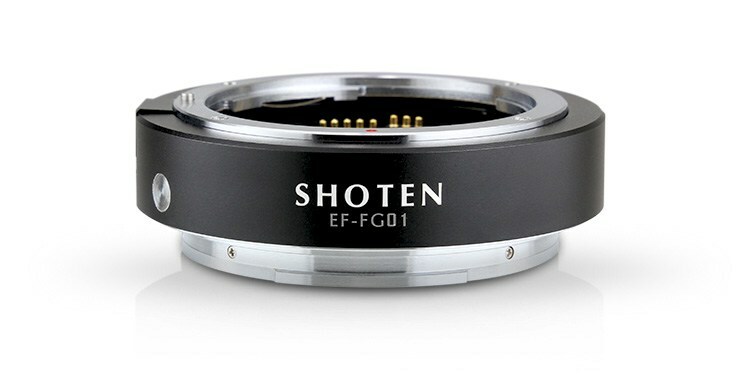 The lens will run a full focusing from closest to infinity automatically after connected. (it normally takes less than 5 seconds). Please do not disturb or press any buttons during this initialization process. Once the camera has saved the parameters of the lens in the first connection, no further initialization is needed for the same lens. This initialization will repeat itself when a different lens is mounted onto the adapter. Unzip and open the application. This entry was posted in 3rd Party Lens, Fujifilm GFX, Fujifilm GFX 50S and tagged Fuji GFX, Fuji GFX 50S, Fuji GFX50S, Fuji Rumors, Fujifilm, Fujifilm GFX50S, Fujifilm Rumors, FujifilmRumors, Fujirumors, GFX, GFX 50S, GFX50S, Medium Format, SHOTEN EF-FG 01, Super Full Frame, TECHART EF-FG, Techart EF-GFX. Bookmark the permalink. Trackbacks are closed, but you can post a comment.